We are the only Party that consistently has offered the electorate the opportunity to decide by a referendum on whether they prefer the deal on offer or to remain in the European Union. This is the only sane decision following an unsatisfactory referendum last June and the calamitous negotiations still taking place between the European Union and the United Kingdom on our separation. This is important for constitutional reasons to conclude the process that was started when the referendum was called for political reasons. It is also important because of the uncertainty of the final outcome and that certain sectors of the population were excluded from the franchise for it. We in Congleton are fighting hard to combat the disastrous Conservative administration at Cheshire East Council. Three top officers are on leave pending investigations, the former leader has resigned from the Party, the deputy leader has been replaced and there are at least three police investigations in process. Congleton Liberal Democrats believe in full transparency, meaningful public consultations and that decisions should be made as locally as possible. We believe in proper funding of public services including transport, care homes and schools. If you also believe in these things and want a different way of doing things then join us by following the links shown. 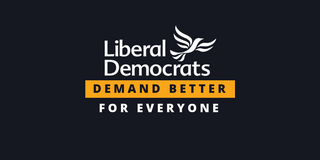 Our intention is that this website will be a useful resource for local people to find out more about the local Liberal Democrats and the campaigns we are running. However, we would like it to be more than that - we would like to hear from you. Read about recent letters and press releases both local and national. Send us your views, comments or queries.